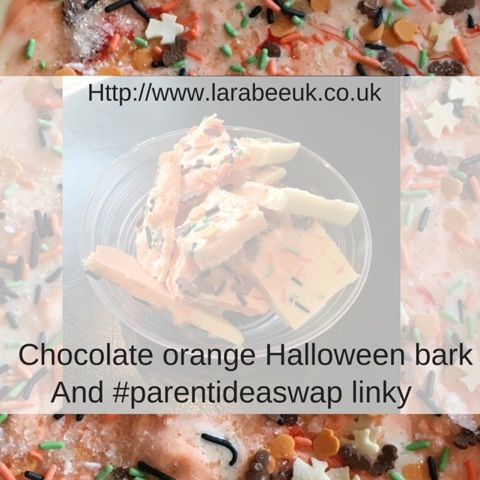 We're running a linky this month, so you can link up any of your Halloween (past or present) blog posts, please remember to comment on some others if you link up though. We'll also be running a small Halloween hamper giveaway, details of which will be revealed this evening during the Twitter chat. T and I have been in the kitchen and have a lovely Halloween treat for you. 1. 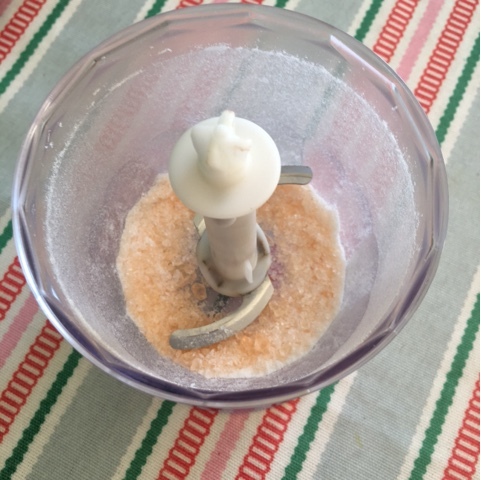 In a small blender chop up the boiled sweets, alternatively you can smash them in a bag with a rolling pin or something similar. 2. 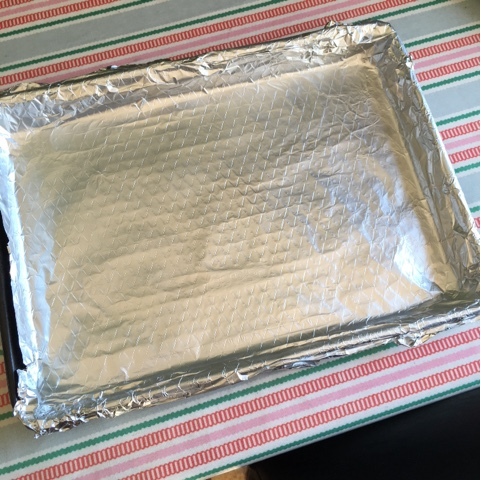 Line a tray with thick kitchen foil. 3. 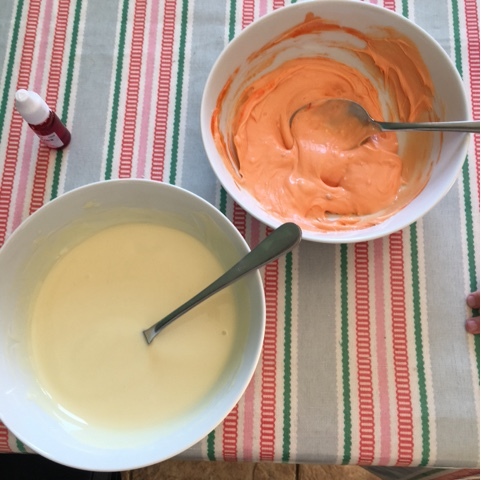 Break 2 bars each into 2 microwaveable bowls then melt your chocolate in the microwave, add food colouring to one (for some reason the food colouring I used started to harden the chocolate) and flavouring into the white one. 4. 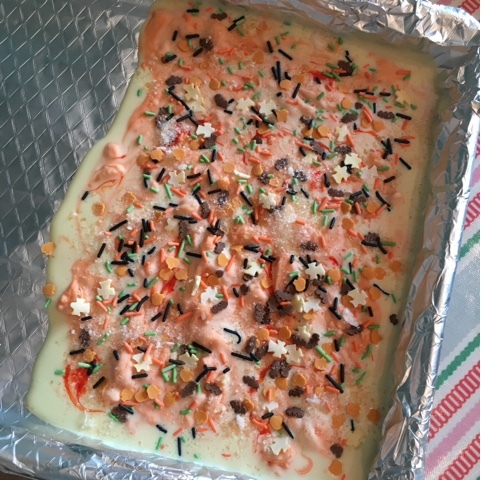 Pour the White chocolate into the tray, then pour the orange chocolate onto the top, use a chopstick to swirl, I added a few more drops of food colouring and swirled them in. 5. 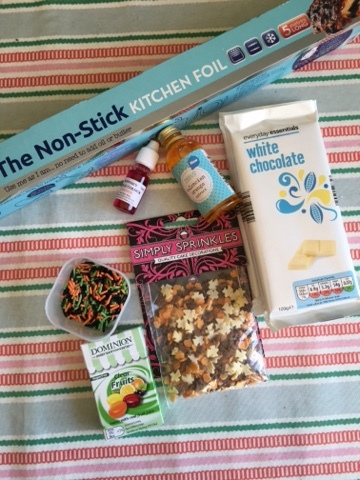 Add sprinkles and boiled sweets. How strange does orange chocolate look! 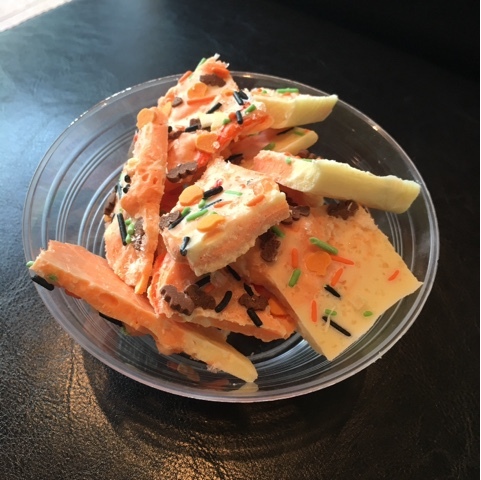 What a great home made halloween treat!